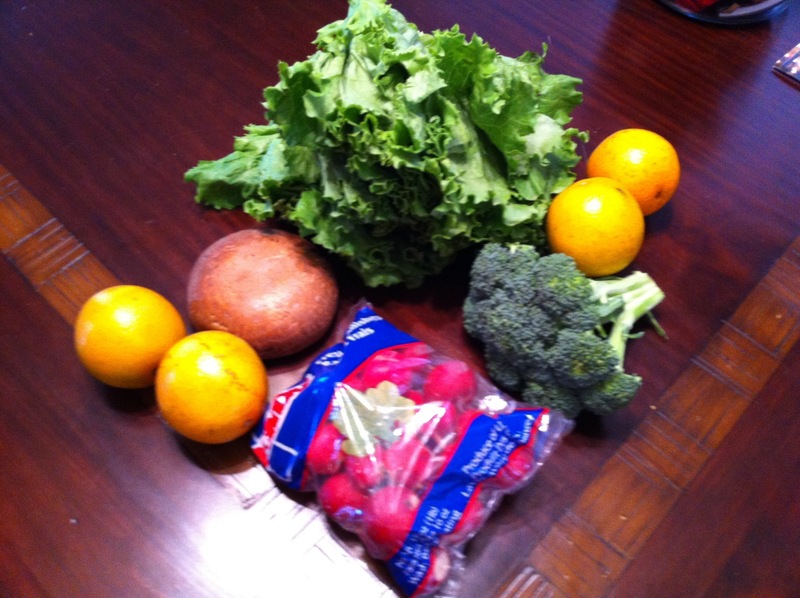 First bag of the Spring CSA. Apparently the local produce is starting to come in, which given our recent 80 degree weather isn’t that surprising. An interesting recipe for the radishes was included with the bag: Radishes with Lemon Creme Fraiche. I’m going to definitely give thy a try. It looks like a refreshing snack. The radish recipe sounds very good – look forward to hearing about it when you make it. I’m intrigued by it so might make it tomorrow. I love radishes. Have you ever had watermelon radishes? I got some in my winter CSA and they were awesome! I got some in my winter CSA, too. They were wonderful…-and so pretty!! They ARE so pretty! I made a sweet salad out of them and they were so good! Let us know about the radishes. We pretty much have them year round and I am always looking for new ideas.